Foundation Shade Ranges - How Inclusive Is My Collection? Hello everyone! Hope you're all having a lovely week. Today I come to you with a post that's a little different compared to my usual content. When Fenty Beauty launched with 40 shades in their foundation range everyone was delighted. They covered fair, light, medium, deep and dark shades. They had different undertones. It was a really big moment in the industry, because it set the new standard. For years we've heard brands say that they can't release deep shades right off the bat, but they would consider making them if the line was successful. Fenty proved that wasn't true (which I think we all knew). Enter the Tarte Shape Tape Foundations. I don't need to get into the whole thing, because it's been covered almost everywhere, but let's just say their release immediately fell flat because the shade range really only catered to white people. This opened up a huge conversation that was so long overdue. While all of this was going down, I decided to look into my own collection and really examine if the foundations I use have inclusive shade ranges or not. Now I'm not saying that a brand without 40 foundation shades isn't inclusive. Not at all. If a line has 15 shades that has three light shades, three medium shades and three deep shades then I would consider that inclusive. Whereas if those 15 shades only cater to light to medium skintones with no deep tones (or a token one or two) then it's not inclusive. I know this sounds simple and basic, but it's something that a lot of people never think about, simply because they don't have to. 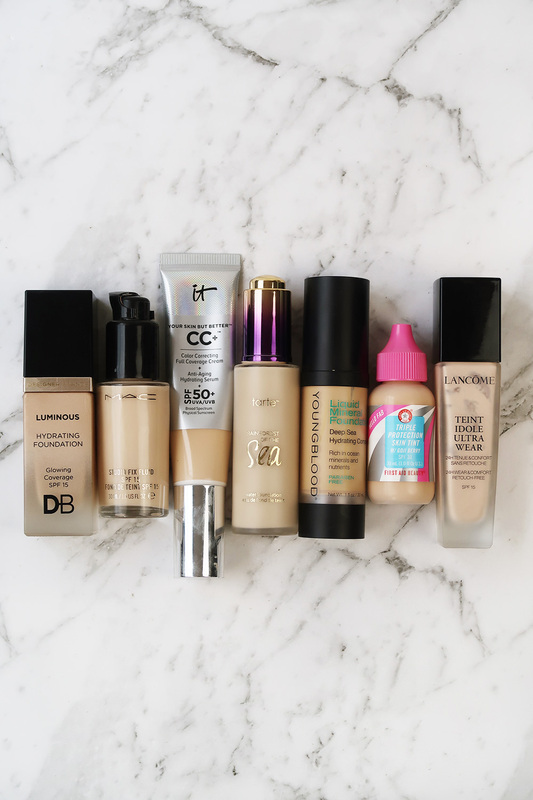 Okay, so let's get into looking at my own foundation collection. 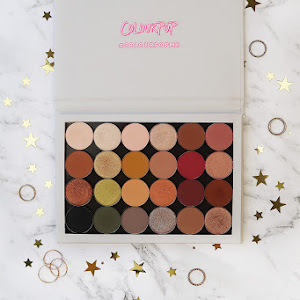 I'll be taking screenshots either directly from the brands website or from retailers of the product, depending on what website best displays the shade choices. This foundation has 6 shades, ranging from light to tan. I know that they are a smaller brand that operate in a smaller market, but the line is still severely lacking. I use the lightest shade which is too dark for me (I blend it down my neck), so the line could definitely stand to expand on both ends of the spectrum. The formula of this one is all of my dewy and glowy dreams in a bottle, so it would be wonderful if they would expand. 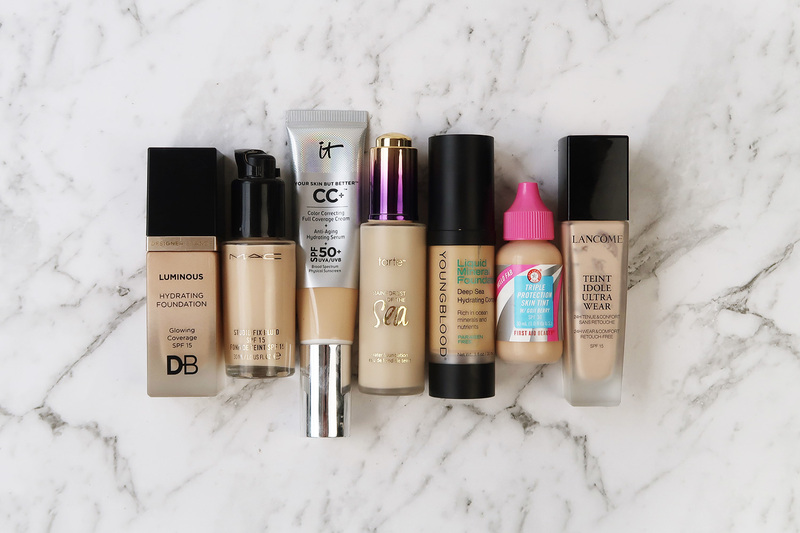 I've gone through more bottles of this foundation than every other brand combined. It was the first liquid foundation I ever owned. Mac have always been a very inclusive brand, and for years were the only brand that my friends with deep skin would use. Within the 43 shades, there is a range of undertones and depth that a lot of brands should aspire to achieve. This foundation doesn't quite look as good on my skin as it used to, but I'm looking to try their Face and Body next. This is one of my all- time favourite base products. I rave about it all the time on my Instagram and I'm not alone. The only critique you hear about this one is that the shade range is seriously lacking. I had a look at the It Cosmetics website to check the shade range of this one and they have it written in italics: Now in 7 shades! Considering how limited the range is it does look like they've attempted to have a fairly even range. They have Fair (too dark for me, but I blend it down my neck to make it work), Light, Medium, Medium Tan, Tan, Rich and Deep. However, because there is only seven shades there is absoloutely no variation in undertones. I've heard people say that the rich and deep shades are quite grey, which almost renders them useless. This is one of those foundations that so many people love so much, that the shade range should be huge. It already has a huge fan base, so I'm not sure why they haven't capitalised on that. This foundation has been a solid favourite of mine since I started using it. It has a beautiful, natural finish that lasts all day on my skin. There are 21 shades, which does make it one of the larger shade ranges of the foundations I own. It is definitely a more inclusive line than the infamous Shape Tape Foundations, but could definitely still do with some improving. This is another foundation that I don't have a match in, but this is the only one that I can't make work on it's own. I mix it in with others that are too light or have too pink of an undertone. There are 11 shades, and they do have a range from fair to dark. 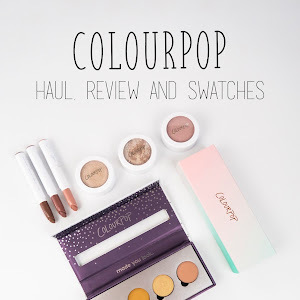 It's hard to find swatches of this one online though, so it's a little hard to comment on, but it does seem like they've covered a decent range though. While it might sound crazy that this product only offers four shades, the fact that it's a tint and not a foundation comes into play. It's sheer coverage definitely means that you don't need a perfect match. And it also probably sounds crazy, but this, with it's four shades are still more inclusive than the Designer Brands foundation above. 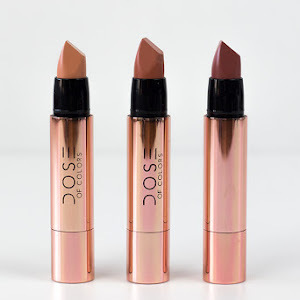 This product is one that proves that you can have a small shade range without completely leaving out deep or fair shades. Quickly becoming one of my holy grail foundations, this foundation boasts 40 shades. As I stated earlier, a brand doesn't need to have that many shades to be inclusive, but it's lovely when they do. I wear the shade 008 Beige Opale and it's one of the only foundations that truly looks seamless on my skin. So that's my collection. Upon examination, I'm surprised that four of the seven have eleven shades or less. From now on it's definitely something I will be paying much more attention to when making purchases. Having fair skin, it is definitely harder for me to find a match in most lines than it is for those with light - medium skin tones, but that's still nothing compared to what POC have to go through when trying to buy makeup. If it can be frustrating for me at times, I can only imagine how it must feel to so often be an afterthought to so many brands. Checking your privilege is important, listening is important. So is putting your money where your mouth is. Hopefully 2018 will be the year that a lot of brands start making products for everyone.